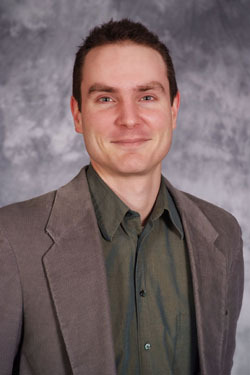 When Scott Hawley joined the Belmont faculty in the fall of 2006, he was ending his sixth year as a postdoctoral researcher in the field of numerical relativity, a discipline combining elements of computational physics, nonlinear wave mechanics, astrophysics and gravitation theory. He was also mixing his second studio album as a singer-songwriter. Dr. Hawley is grateful for the opportunity to combine his enthusiasm for physics and music by teaching at Belmont, particularly in teaching physics classes for Audio Engineering Technology students. Dr. Hawley received a B.S. in Physics from the College of William and Mary and a Ph.D. in Physics from the University of Texas at Austin. I would like to contact Dr. Hawley.